As a teenager I loved scary books and films etc. Then I turned into a wimp. Now I am on a quest to find the ultimate scary read again (especially now the nights are drawing in and it’s getting colder – the perfect time to snuggle up on the sofa with a book that creeps and chills). 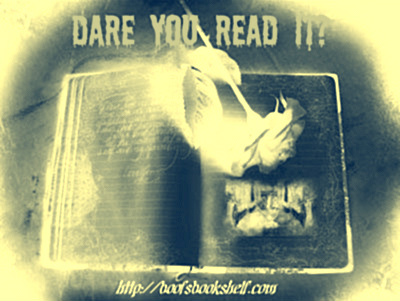 Last year I did a “Dare You Read It?” series in an attempt to find that special spine-tingling book and, while I did read some great books, none of them scared me to death. And that is because…..
Now, since then I have read Hill’s other book Horns which isn’t scary in the same way at all. I have also met the man himself at a book signing of Horns in Waterstones in Leeds and he was very nice, but The Heart Shaped Box still remains firmly shut and at the back of my shelf! As it’s Autumn and as I am also doing the RIP Challenge again this year, I am contemplating giving it another go. However, I am too chicken to try it on my own (just incase that man is still sat on the chair where I last left him!) so are there any volunteers to read along with me? What is the scariest book you have ever read and why? It’s about 5 or so months since I read this book and it still freaks me out when I think about it. 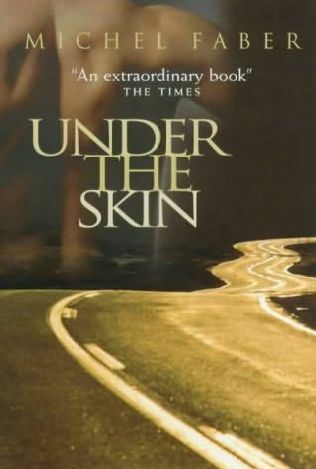 Under the Skin by Michael Faber is a very strange story of a woman who drives up and down the A9 in Scotland looking for men hitchikers. She doesn’t just stop for any old man though – he has to be big and beefy and alone. OK, to be fair, we haven’t really even had a summer in the UK but that’s nothing out of the ordinary. Autumn is my favourite season and alsways has been. I used to love going back to school after the long holidays (yep, must be a geek!) and it was my birthday, halloween and bonfire night. I love the crisp days and darker evenings when you have to put the fire on a curl up (with a book, naturally) and cup of hot chocolate or glass of red wine. Autumn is a time for classics, gothic reads and spooky tales hence my excitement for this challenge again. I have successfully managed to avoid all challenges this year so far but this is one that I cannot igone! The Peril Challenge is right up my street and I loved taking part last year t00. Mystery, Suspense, Thriller, Dark Fantasy, Gothic, Horror, Supernatural. I will be doing the Peril the First challenge which is to read at least 4 books from the above categories (shouldn’t be too hard as they are my favourite genre at the moment). Have you got any plans to join in? If so, what will you be reading? 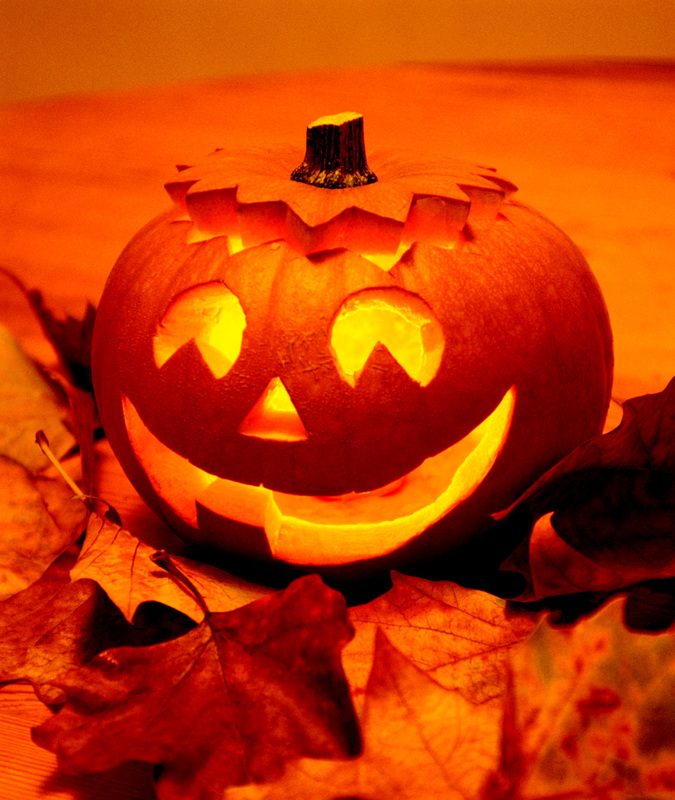 What a spooktacular month October was….I embarked on my mission to read only spooky or scary books in honour of Halloween. My mission was to find something that scared the pants off me. Did I find it? So what are my spooky recommendations? I am planning a month of pure indulgent reading. Whatever I fancy: no rules, no must-reads, no specific genres, authors, publishers……nada! What are your reading plans for this month? This is about the fourth time I have read this book and I still love it. It was one of the first Agatha Christie’s I read as a teenager when I went through a phase of devouring everything I could get my hands on. I picked it up again this week because of the title. What a perfect book to read in Halloween week, I thought: even thought I have read it so many times now, it has never lost its appeal to me. Spooky? No, not at all. Fun? Yes, absolutely! Aridne sets off to see her old friend Hercule Poirot for help as she has become convinced that someone who overheard Joyce’s claim to have seen a murder had wanted to shut her up. Poirot then sets about busy-bodying his way around the village, in true Poirot style, asking questions to anyone and everyone about what Joyce may have seen. And as in true Christie style, expect the unexpected! I’m so glad I read this book again – picking up an Agatha Christie is like meeting up with an old friend; it’s a real tonic. 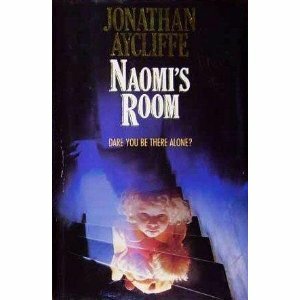 I was also delighted to discover that ITV did an adaptation of this very book this week on TV. I thought it was so well done, with a brilliant cast and they made it so spooky and atmospheric. If you didn’t see it or you don’t live in the UK, you can still see it here online for the time being – give yourself a halloween treat and watch it. 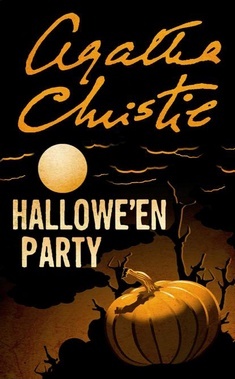 A great mystery book set at halloween. Will it scare you? Not a chance. 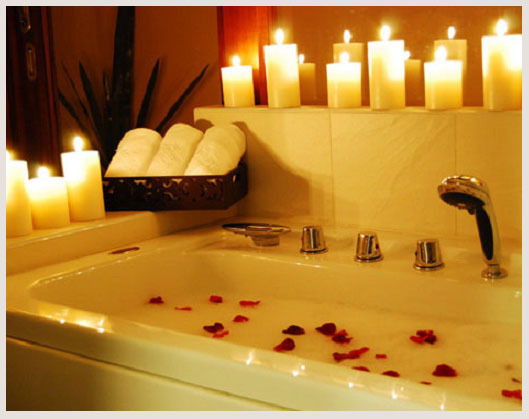 Will you love it? Absolutely! 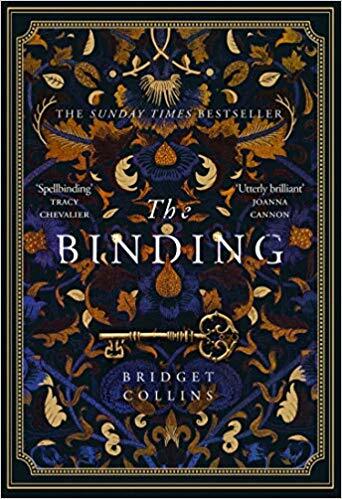 I just had to have this book as soon as I saw it nominated by Sarah from BookRabbit on my What’s Spooking the Publishers? post. Since seeing that, I have also seen lots more hype about this book on the web. I grabbed up a copy for myself last weekend and read it this week for a spooky treat. The book is written in the form of a journal by Jack Miller, a London misfit with a dead-end job and no friends who joins an expedition to the Arctic Circle in the 1937. Jack is desperate to go and has looked forward to this adventure for six months before setting off so his spirits are high as soon as he steps onto the boat to take them to the bay of Gruhuken in nothern Norway. However, Jack’s joy soon takes a downward turn as one by one, members of the expidition drop like flies and he is left alone, with just a pack of huskies and a self-built hut in one of the remotest parts of the world. Not only that, but Jack begins to see and hear things that aren’t really there. Or are they? 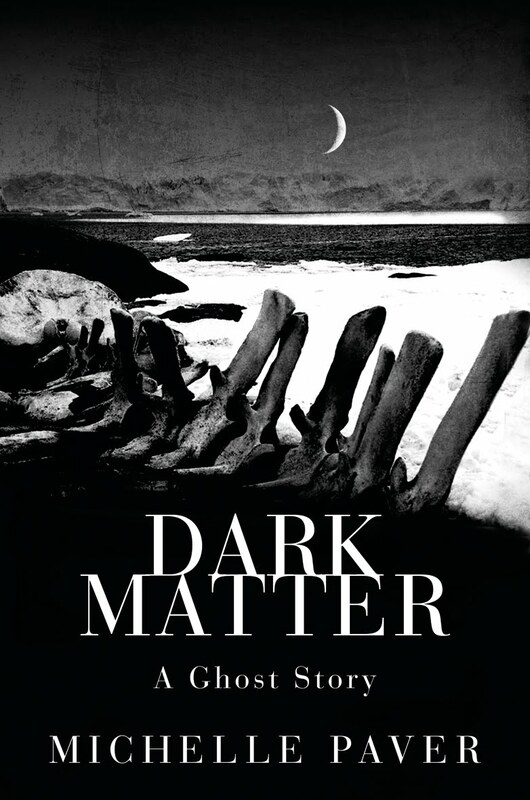 I found this book incredibly well written and what I found was that the way the isolation and deprivation were played out over the pages was far more spooky than the ghost that was inhabiting the bay with Jack. The sense of fear as Jack slowly began to lose his mind imagining things that had moved or appeared was palpable and made for very chilly reading. Jack’s relationship with one of the dogs, Isaak, was the only warming part of this icy tale but it was a welcome relief in such a desolate text. Although I enjoyed this book immensly and would recommend it as a great read, I am disappointed to report that it didn’t scare me in the least (and I am a complete wimp when it comes to scary things). Those of a nervous disposition may want to avoid or read with the light on though.